Planning for the week ahead? 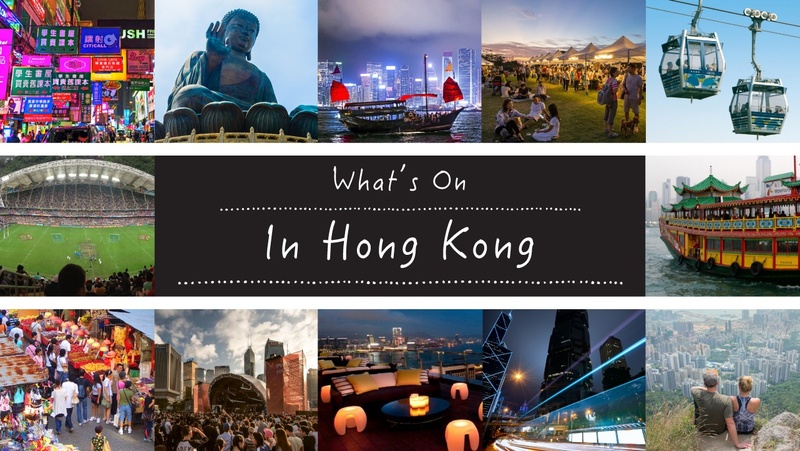 Let us help with these highlights of what’s on in HK this week 22 March 2019. Want more? Check out our comprehensive what’s on guide with full listings for the months ahead here and our family-friendly what’s on guide here. Create your dream tasting menu from multiple high-end cuisines and try some dishes that have never been seen in Hong Kong before form some of the city’s best chefs. Plus, enjoy the amazing array of experiences ranging from whiskey and wine tastings to sweet treats, one off collaborations, live music and family fun (under 12s go for free). Ballet in the City, a 2-year new audience engagement project by Hong Kong Ballet brings dance in surprising new ways to all corners of Hong Kong. This session of pop-up performances will feature performances of excerpts from the award winning classical ballet – Le Corsaire. Support Angels for Children at this charity shop and swap for eco-conscious fashionistas! Get exclusive shopping access, plus a welcome drink and nibbles as well as door prizes, guest speakers and wine tasting on Friday evening, or just come along on Saturday for eco-shopping only with free entry. Discord of Discourse is an exploration of languages in our minds. It is the story of two would-be lovers, a linguistic anthropologist, Jean and a quantum physicist, Jean. After they maneuver the different pronunciations of their names spelled the same ways, a curiosity sparks between these two professors at the same university. This will mark Ivor Novello-winning songwriting sensation Tom Odell’s first live show in Hong Kong. The precocious master of the ivories has won numerous awards and has 1.8 million sales under his belt. The show is sure to be enjoyable. Chinese hip-hop group, Higher Brothers, will be playing Hong Kong for one night only as part of their ‘Wish You Rich’ tour. A group of hip-hop artists from Seattle, WA, USA will be performing in Hong Kong for a night of bangers and fun! Japanese Galligraf2ity artist – MAMI will perform her first ever live performance in Hong Kong, infusing graffiti elements into Japanese calligraphy making for a sensational art performance. Pippo Delbono puts the whole world on stage. His productions rage, provoke, enthrall and move us to tears. With flamenco, flowers, paper boats, poetry and a Fellinian circus parade, this astonishing quest for joy affects all the senses and hits you in the heart. Butoh, a dance that is more akin to the movement of soul, will be revived in Hong Kong this March through an unprecedented collaboration between Butoh-Kan (Kyoto, Japan) and cellist Oliver Coates (The Highlands, Scotland). There will be a free 25 minute show on 22 March at CityU followed by discussion with the artists, and two ticketed full 50 minute shows at a secret location. The World of John Neumeier is an autobiographical gala featuring twelve highlights from this great choreographer’s most celebrated creations. This extraordinary performance of The Magic Flute will be sung in German with English and Chinese subtitles and is set to take the audience on an extraordinary audio-visual journey. Britain’s best-loved comedian and one of the biggest selling live acts in UK comedy is returning to Hong Kong this March. Jimmy is gathering a selection of his very best jokes along with brand new material for the ultimate comedy show. This show is a make-up show for the show originally scheduled for 16 September. This workshop is reserved for yogis who have tried aerial yoga before and feel comfortable going into inversions with little or no assistance. You’ll hike to Tai Long Wan beach to fly in the bamboo tripods over the ocean. Starting from Rula Bula in Lan Kwai Fong, teams of 4 will solve the clues and race to be the first team at the ending location. There’ll be awesome prizes, great challenges, and of course, cold drinks. Overlooking Victoria Harbour and timed to coincide with Hong Kong Art Week, this temporary outpost of Potato Head Hong Kong will feature sunset sessions, that roll late into the night. This three-day celebration of club culture will feature art and music references from 1980s New York and a diverse line-up of performers. A group will be hosting a fundraiser event at Limewood bar side. Please do join in and help them raise funds for the victims and families affected by the tragedy.